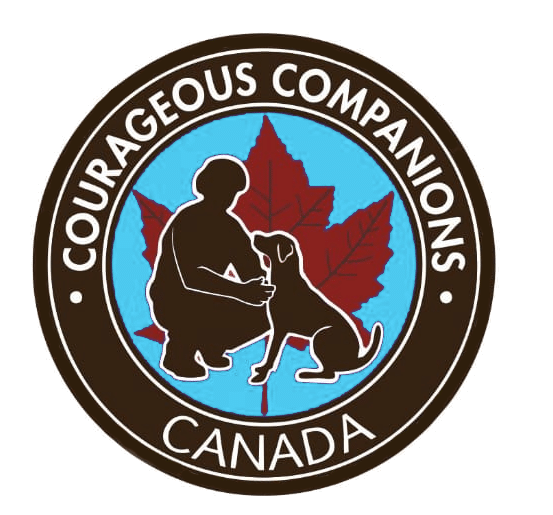 Our signature service is having a dog trained for you by Courageous Companions. The training of a dog usually takes a minimum of 1 Year and is dependant on available funding. As the dog matures the obedience training becomes more advanced and the puppy mental ability is challenged through a regulated training cycle by being exposed to increasingly more public settings. Loading and unloading from a vehicle. Public access training (shopping, gym, transit). Recall through areas with distractions, groups of people, past dogs with handlers. Down/ stay with stationary and moving distractions. Functioning with distractions (strangers, dogs, children, etc.). They then go home and are expected to continue to bond and train for an additional 8-12 months, to prepare for certification testing. 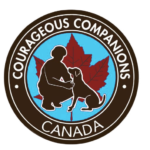 Depending on their location the Service Dog Team in Training is provided guidance from MSAR via telephone or visits. Some locations have Peer Groups that train weekly and new teams can train with these groups. Training over the next year focuses not only on obedience but bonding as well. Functioning with distractions (strangers, dogs, children, etc. ).They then go home and are expected to continue to bond and train for an additional 8-12 months, to prepare for certification testing. Depending on their location the Service Dog Team in Training is provided guidance from MSAR via telephone or visits. Some locations have Peer Groups that train weekly and new teams can train with these groups. Training over the next year focuses not only on obedience but bonding as well. Level 3 is where the service dog team completes the final test for full certification. This process takes several days and a score of 90% or greater is required to pass. During this phase, the dog must be at least 2 years of age (neutered/spayed) and the team must have worked at Level 2 for a minimum of 6 months. All teams must complete recertification a minimum of every 3 years.